My first stop, as a Wikipedian in Residence, to reach out to GLAMs (Galleries, Libraries, Archives and Museums) in and around Cape Town to share content to Wikimedia Commons for use on Wikipedia was at the Hout Bay Museum. Although a relatively small museum (when compared to other museums like the Iziko Museum), I could realize how true the saying that Hout Bay Museum is a ‘Hidden Gem’. 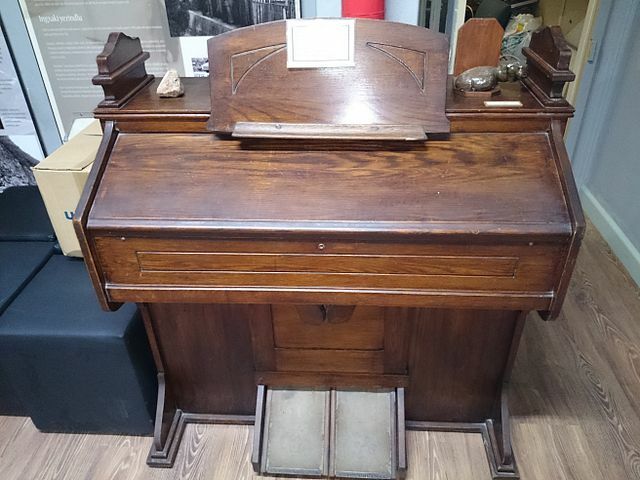 It truly was like a hidden gem for me when I visited, and will continue to be, as more and more historic artifacts continue to be added from donors in an around the community of Hout Bay who have treasured precious historic items until this day. As a content partner of the WikiAfrica Project, Mr Dreyer, the current curator at the Hout Bay Museum, spent no delay in responding to my request to pay the museum a visit and gather a few images for use on its Wikipedia article. A quick review of the article on Wikipedia about Hout Bay Museum revealed, the curator, was the author, and he had spend quality time in bringing the article up to where it was. I could not believe a new contributor to Wikipedia write the article in such a good manner. I was impressed, and in union with his guided tour at the museum, took more pictures to enhance the story behind the museum on Wikipedia. The museum is not far from a public transport station which makes a visit to the museum not a pain. Plus, it is situated in a town surrounded with lots of vegetation with lovely sea scenery to feast your eyes on during your travel. 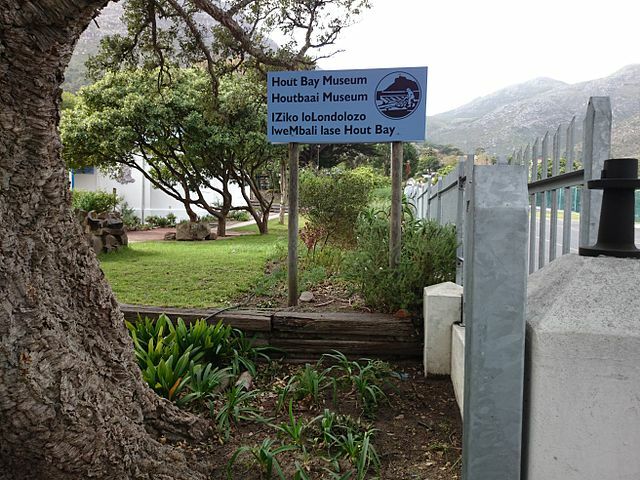 New sign board at Hout Bay Museum. You won’t get lost. Unfortunately, I could not make a visit to the Chapman’s Peak, which was quite a walking distance away from the location of the museum. But, some preserved images of the Chapman’s Peaks in its ancient glory were available of which we took pictures of. Pam Wormser, the first curator at the Hout Bay Museum, also got an article on Wikipedia. Thanks to (with permission of use) On Set Images, a photography organization in Hout Bay, an image including Pam Wormser and an award she received were uploaded to Wikipedia in addendum to her article. In the upcoming weeks, the WikiAfrica Project will try to initiate more activities to generate more content for sharing on Wikimedia Commons and Wikipedia from Hout Bay.